Thraxas is a private investigator in the city of Turai. He has some sorcerous powers but mainly he just drinks a lot of beer. Consequently he's always broke and has to live in the poor part of the city. Thraxas is overweight, bad tempered, and a keen gambler at the chariot races. He doesn't make for a pretty sight. 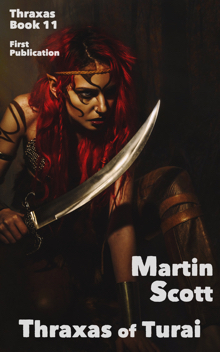 His friend Makri is reckoned to be a good deal more attractive, but with her Orcish and Elvish blood, she does have a tendency to be violent. The first Thraxas novel won the World Fantasy Award. 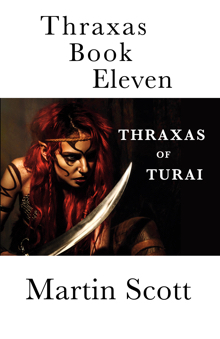 There are now eleven books in the Thraxas series. All eleven Thraxas novels are available as paperbacks and ebooks. See the books page for more details, and links to Amazon.